The main point – Look for a way to discard blocking cards. 1. Duck the spade queen. Do not worry. South will continue spades. 2 – 3. 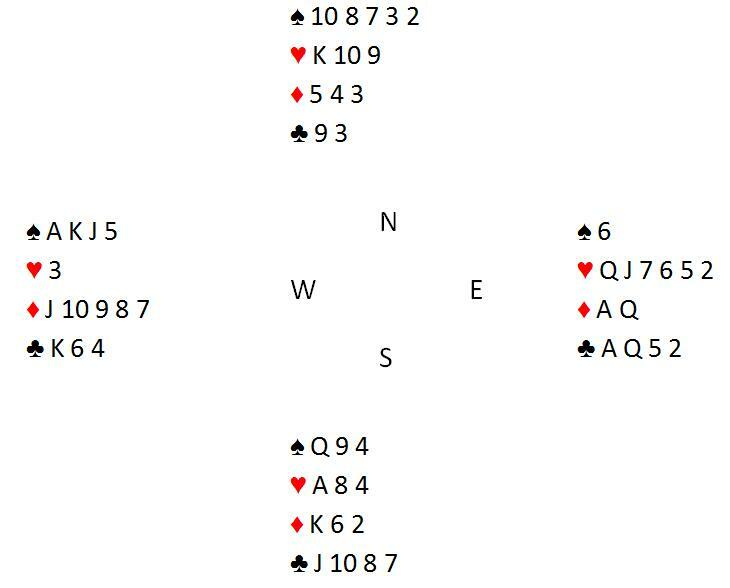 Pitch two diamonds to two spades. 4. Concede the trick to the king of diamonds. Closed room – the French have landed in a lucky contract 4♥. The spade finesse worked and heart distribution brought the contract home. You withheld the queen of spades: +400, you lost only 1 IMP.